The study of Islam and Muslims is of rising importance everywhere, but particularly in the West. This article will discuss the long trajectory of Islamic Studies as it developed as a sub-discipline within the larger discipline of Middle East Studies in Western academia. Before we proceed to discuss specifically the state of Islamic Studies in the United States, we must place our discussion in the larger historical context of the evolution of the academic study of Islam and the Middle East in medieval and modern Europe. Islamic and Middle East Studies in American academia is a direct heir of these earlier European pursuits and its origins and early objectives are best understood in this larger historical context. to a strong political, military, and academic interest in the Ottoman empire and in Islam. The French Orientalist scholar Guillaume Postel who lived between 1510-1581, despite, or perhaps because of his intense French patriotism and zealous Christian faith, contributed much to the study of the Semitic languages and peoples. He was also instrumental in building up an important collection of manuscripts. In the early 16th century, the College de France was established and Guillaume Postel was the first holder of the newly established chair of Arabic in 1539. He trained a new generation of Orientalist scholars like Joseph Scaliger who died in 1609. Printing in Arabic characters became possible in Europe on a wider scale at this time which helped in making the works of scholars available to one another and to a wider audience. Grammar reference works, dictionaries, and editions of texts began to be printed. A Dutchman, Thomas van Erpe (d. 1624) published the first Arabic grammar in Europe and the first edition of an Arabic text. In Austria, Franz Meninski published his huge Turkish dictionary in 1680. Chairs of Oriental studies began to multiply. After Paris, the University of Leyden in the Netherlands began teaching Arabic in 1593. The Pope Urban VIII founded in Rome an institute called the College of the Propaganda in 1627 which was apparently quite a lively center of Oriental studies. At Oxford University in England, Edward Pocock assumed the first chair in Arabic in 1638.
dogmas of the church which strongly opposed reason. Islam contained a minimum of mythical concepts and the mystical rites that so characterized Catholicism and combined a balanced regard for the demands of both a spiritual and social life which was more in keeping with the tempo of the times. In this spirit, some European scholars could genuinely rise above their own confessional faith to provide fairly impartial accounts of Islam and its civilization. One such scholar was Richard Simon, who, although a devout Catholic, wrote a sober, even admiring account of Islam in 1684. For this he was taken to task by another scholar (Arnauld) who accused him of being too objective towards Islam; to which Simon is said to have replied that he should study and learn from the excellent teachings of Muslim theologians. Other prominent scholars who were affected by this new scholarly temperament were the German scholar J. J. Reiske (d. 1774); Simon Ockley, who taught at Oxford (d. 1718), and Edward Gibbon (d. 1794) who provides a balanced assessment of Muslim cultural and intellectual achievements in his world history. This attitude persisted more or less through the eighteenth century; in this age of Enlightenment, as it was called, the “otherization” of Muslims, as one scholar recently put it, had not yet begun. Cultivated Europeans in this period still clung to a universalist view in which East and West played complementary roles. Attitudes towards the Muslim were somewhat suspicious but affable: the English author Thomas Hope, for example, wrote :”The Turk, when he is not under the influence of fanaticism, is as charitable as he is trustful.” This state of affairs would begin to change drastically, however, in the nineteenth century, with the rise of the period of European conquests and imperialism in the East. Three prominent tendencies in European attitudes towards the East in this period may be identified: 1) a utilitarian and imperialistic sense of Western superiority, full of contempt for other civilizations;2) a romantic exoticism, with its delight in a magical East whose increasing poverty spiced its charm; and 3) a specialized scholarship whose main concern lay with past ages. This last, the specialized scholarship, was responsible for the establishment of many learned, academic societies in Europe in the nineteenth century, and later in America as well. The Paris Asiatic Society was founded in 1821, the German Oriental Society in 1840, and the American Oriental Society in 1842; these societies published their own journals as well as organizing annual conferences for scholars and academics. These developments represent the beginnings of the academic discipline widely termed Orientalism, a discipline devoted to the study of the East. This kind of specialized study manifested itself particularly in philological activity, that is in the study of languages, in the editing and translating of texts, the compilation of dictionaries and grammars. Such scholarly attention focused on the East fostered a certain literary and artistic Orientalism as well with the East painted in fantastical, highly imaginative colors, portrayed as a place of chaos and anarchy that could be studied and given order only by being filtered through the rational Western mind. The process of the “otherization” of homo islamicus had begun. Middle East Studies, of which Islamic Studies is an important component, as it developed in American academia, was in many ways a continuation of its precursors in the European academic world. The term “Middle East” itself gained wide currency when the American naval strategist Alfred Thayer Mahan used the term in 1902 to “designate the area between Arabia and India.” The first official use of the term “Middle East” by the United States government was in the 1957 Eisenhower Doctrine, which pertained to the Suez Crisis. Over time, this designation would supplant the older term “Near East,” although this designation persists in American academia. Most departments in the United States offering Islamic Studies are called “Near Eastern Studies” or “Near Eastern Languages and Cultures/Civilizations,” as is the case at Harvard, Yale, Chicago, Princeton, Indiana, and elsewhere. As was and remains the case in Europe, the study of Islam and of the Middle East in the United States is deeply rooted in political and geo-strategic interests. Some of the earliest American scholars of Islam were Christian missionaries and most of them evinced pronounced hostility towards Muslims, like the early European Christians engaged in the study of Islam. The main tendencies described above which spawned that curious process of organizing knowledge about the Islamic East in Europe, embedded in a discourse of power and religious prejudice, are also therefore clearly applicable to the rise of Middle East and Islamic Studies in the United States. This phenomenon was aptly described by Edward Said in his now famous book called, not surprisingly Orientalism. Said in his devastating critique of Orientalism makes the particular distinction between pure and political knowledge, the last being predominant in our field and which Said describes as “a distribution of geopolitical awareness into aesthetic, scholarly, economic, sociological, historical and philological texts.” He is thus describing the annexation of practically the entire gamut of human experience and knowledge in the service of the political concerns of the three great empires (as he calls them) of the nineteenth and the twentieth centuries, British, French, and American. The American experience, as Said points out, has not been that much different from the European one. The oldest department of Near Eastern studies is the one established in Princeton University in 1927; at the present most major universities boast such a department. Said goes on to show that the nexus of politics and academics has had a particularly baneful influence especially with regard to objective reporting in the area of modern Middle Eastern studies. America’s deep embroilment in the Israeli-Palestinian issue has, even or perhaps specifically at the academic level, colored its attitude towards the Arab people and Arab societies, producing tendentious scholarship about the Middle East and Islam in general. Again the harnessing of the intellectual community for the political ends of the government has been painfully obvious in the American context as it has been in the European. Whether one totally agrees with Said or not, Said’s book remains and will remain a watershed in our field for broaching the kind of questions that have festered in the background for so long and no one but he could have posed them as eloquently. It has also cleared the air considerably so that one feels that some of the most flagrant biases in Middle East area studies are receding into the background (although occasionally erupting in response to specific political events, such as September 11 most recently, as discussed below). Scholarship in general on the Middle East and on Islam has become more arduous and multi-disciplinary with narrow philological studies being spurned. Works are now being produced that are, on the whole, mercifully shorn of the kind of cultural essentialism and reductionism that had dominated Western intellectual discourse until fairly recently. 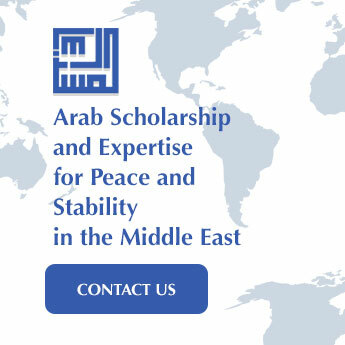 There is a new concerted effort to put scholarship about the Middle East on a more sure theoretical footing by veering away from the more descriptive and generalized approach of the philologists to the more specialized and evidence-driven approaches of social and economic historians, of demographers, and anthropolgists, while at the same time emphasizing a close, critical reading of primary sources. In recent years, we have witnessed the publication of excellent social and political histories which have demonstrated the desirability of combining textual analysis and empirical data. Greater emphasis on the social sciences has produced excellent studies of peasant organizations and associations, for example, which too often do not earn the attention they deserves. Attention to issues of gender and gender relationships and to the whole debate about public and private spheres and how these supposedly dichotomous spheres are to be understood has recently been gaining ground in our field. These are all highly welcome developments, a prelude to the mainstreaming of Middle East and Islamic studies and its liberation from the academic straitjacket that it has and continues to be placed in. Thus it is possible to provide a happier postcript to Said’s sorry account of Orientalism, a postscript in the writing of which he must be seen to have had a hand. There is a greater sensitivity and intellectual sophistication among scholars of Islam and the Middle East today signifying a slow but tangible maturing of the profession. This process is being hastened in many ways by the entrance into Western academia of scholars from Middle Eastern and Muslim background who keep the venues of debate and scholarly exchange open by their own insights into the region. In American universities, the study of Islam occurs usually under the rubric of Near Eastern or Middle Eastern Studies. Undergraduate students at American universities have to take a number of courses not only within their own fields of specialization, called a major, but also outside their major. A natural science major would thus have to take a certain number of courses in the humanities and social sciences; someone with a specialization in the humanities would correspondingly also have to take a specified number of courses in the physical and social sciences. The purpose of this requirement is highly laudable: it is to encourage students to acquire a broadly-based education in the liberal arts and the sciences before going on to do more specialized work at the graduate level. The undergraduate student spends four years in a college or university before obtaining his or hers bachelor’s degree; a graduate student is enrolled in a university program leading to the master’s or the doctoral degree which may typically take anywhere from four to 10 years. In the European system, this phase of education is often referred to as post-graduate. A strong component of this broadly based liberal arts education in many universities is language learning. As might be expected, European languages like French, Spanish, and Italian are hugely popular; they require on the whole less effort to learn and are often already familiar to students from prior exposure to them in secondary schools or high schools as they are called in the US. Due to the political significance of the Arab world since the 1960s in particular, enrollments in Arabic language classes steadily increased through the following decades and area studies programs focusing on the Middle East began to sprout up in many American universities. Many students attracted to Middle East Studies typically major in political science, especially international studies, and a large percentage of these students are planning a career in foreign service and expect to live abroad, including in the Middle East. There are also majors in Religious Studies and Near Eastern studies who need to focus on Arabic and Islam for comparative purposes. There are also the curiosity seekers, the students attracted by what to them is the “exotic” nature of the Arabic language, its very visually appealing writing system. These students often came in with a desire to learn to read and write the script. Some of these students have traveled to the Middle East and have developed an affection for the people they have met and the cultures they have encountered. Finally, a growing number of students on campus are Muslim students, American and foreign-born, as well as students of Middle Eastern extraction, Arab Americans and Americans of other Middle Eastern ethnic affiliation who wish to learn Arabic and take courses in Islamic thought and civilization in an effort to maintain cultural continuity with their inherited past. This trend will continue in the near and distant future as US demographic patterns, replicated in Western Europe as well, change and Muslims are poised to become the second largest religious community in these regions. The term “heritage learners” has been coined to designate these students who take courses on Islam and Islamic civilization not necessarily for career enhancement but for personal and emotional enhancement as well as out of intellectual curiosity. This trend is more clearly perceived in the major urban centers of America such as Washington D.C., New York, Los Angeles, Chicago and Detroit to name a few and thus reflected in the student populations of large institutions in these cities. In classes that offer Arabic language instruction and courses in Islam, Muslim students may easily outnumber non-Muslims, although they are often equally popular with both constituencies. The effects of this changing demographic trend are also reflected in academic organizations; the MLA, which stands for the Modern Language Association, which until very recently, at their huge annual conference only had panels representing European languages and civilizations, now has added modern Arabic language and literature to the disciplines they represent and have hosted or will host a number of panels on Arabic linguistics and literary studies. Membership and attendance at conferences on Middle Eastern themes and issues continue to burgeon; the Middle East Studies Association of North America (MESA for short) has over twenty thousand members and is still growing. The ebb and flow of classroom enrollment in Arabic and Islamic studies frequently depends on world events. Between 1993 and 1996, I taught at the Center for Middle East Studies at Harvard University. I remember in my first year at Harvard in the fall of 1993, the peace accord was signed between Yasir Arafat and Yitzhak Rabin and there was that historic handshake between the two on the lawns of the White House. Our enrollments in Arabic at Harvard went through the roof. The first year class had a record number of over 65 students; students seemed to think that there would be all kinds of job and travel opportunities opening up in the Middle East. Regrettably, by the fall of the following year, the euphoria had died down and our enrollments had gone down to the more typical enrollment of about 30-40 students in the first year, 10-20 in the more advanced sections. But this is something that we who do what we do have learned to live with. Foreign policy of the United States government and its strategic interests often determine the appeal to students of certain area studies rpograms. Since the United States has strong and powerful stakes in the Middle East, this has also determined the course of Islamic and Middle Eastern studies in the country. In the wake of the collapse of communism in the former Soviet bloc countries, the Middle East came to be very much in the political foreground. From a strictly academic viewpoint, this has had many beneficial consequences in terms of government patronage of Middle East area studies programs. The department of Education and the Mellon Foundation, and to a lesser extent, the Fullbright foundation, have collaborated to fund Arabic language programs and teaching positions in major American universities. My position at Harvard was actually funded by one of these collaborative programs; similar such programs were set up at the University of Chicago, Columbia University, and Princeton University among others. The US Department of Education contributes massive amounts of funds to Centers of Middle East Studies at major American universities; again such as the ones at Harvard, University of California at Los Angeles, and at the University of Chicago; and non-university affiliated centers such as the American Research Center of Egypt and the American Research Institute in Turkey. They also fund language study programs abroad such as the hugely popular Center for Arabic Study Abroad housed at the School of Advanced International Studies at Johns Hopkins in Washington, D.C. which sends a number of exceptional students for upto a year to the American University in Cairo to acquire proficiency in Arabic and to learn about Arab and Islamic cultures. The tragic events of September 11 has become a distinct watershed moment in the trajectory of Islamic Studies in American academia. For those of us who were already aware of the challenges and tensions of teaching Islam on American campuses, the post-September 11 environment would heighten even more some of these tensions. 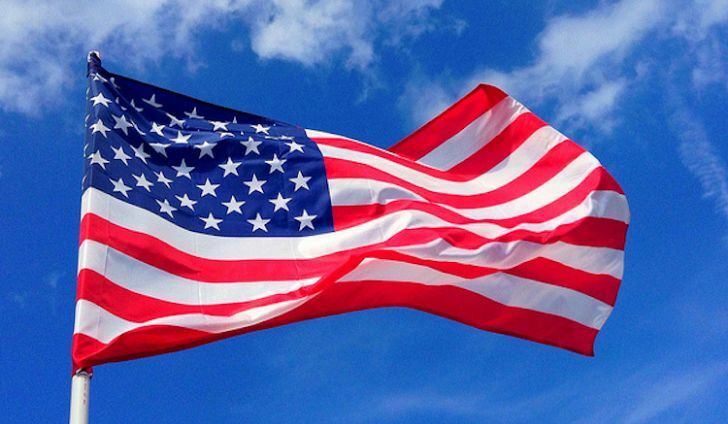 What follows below is a rather personal account of some of the challenges faced by may of us who are engaged in teaching Islam on American campuses followed by a reflection on how we may best adapt to these changed circumstances. In Fall, 2001, I was teaching a course titled “Canon & Literature of Islam,” at the University of Notre Dame, a liberal arts Catholic University in the small midwestern city of South Bend in Indiana, where I had moved to in 1996 after teaching at Harvard University for three years. It was a small class of 10 students; my classes on Islam before September 11 typically had an enrollment of between 10-20 students (these numbers rosen dramatically after that). There is a lot of interaction with the students in this course, because by its very nature it is very discussion-oriented. Almost the entire first half of this class is devoted to a close reading and discussion of selected Qur’anic passages, followed by a discussion of the hadith literature. It goes almost without saying that the class is self-selecting. Students who tend to take a class on Islam in this predominantly Roman Catholic institution tend to be far more intellectually curious than the run-of-the-mill student and more willing to be challenged in terms of the content of the course. A few more details concerning what it is like to teach at an avowedly religious, private institution with a specific denominational cast to it like Notre Dame are in order here. About 90% of the students at Notre Dame are Roman Catholic; mostly of Irish Catholic background. They tend to be generally rather conservative (certainly by the usual American campus standards) on many social and political issues. Many of them come from staunchly pro-Republican families and have absorbed their parents’ political preferences. Many of them are observant Catholics and take part in Mass and try to observe other religious requirements. Notre Dame in fact has been described as the most intensely Catholic university in the US, more so than say Georgetown or Catholic University in Washington D.C. It is a description that the university takes pride in and the administration is concerned with maintaining, if not enhancing, its Catholic character. To return to the aftermath of September 11 – the students returned to my “Canon & Literature” class on September 12, all understandably somber and somewhat shaken. Needless to say, we digressed somewhat that day from the readings assigned in the syllabus. I had more than a foreshadowing that our classroom discussion would inevitably turn to complex and difficult questions about war and peace in Islam, about violence and the taking of innocent lives, about all the ramifications of the word jihad – how could it not after that terrible day? I therefore came prepared with a few relevant articles dealing with the ethics of war and peace in Islam, which in a manner highly accessible to the undergraduate, lays out the basic Qur’anic and legal positions on this issue. In the quite animated discussion that followed, it became quite clear to my students that there is indeed a huge chasm between the Qur’anic and classical juridical views of jihad and al-Qa’ida’s perspectives on it, in spite of the Islamic rhetoric employed by the latter. The question then was posed: how could the perpetrators of such atrocities justify their actions based on the fact that Islam categorically denounces terrorism? Such a baffled question, not only from students but also from the media, makes it plainly evident that although an individual may be fully aware of the diversity of thought and opinions within one’s own tradition, the outsider often tends to see that same tradition in stark black and white terms. Unless taught or reminded to do so, we do not instinctively nuance the other person’s beliefs that are regarded as alien to ours. Therefore the best way to tackle this question is to appeal to what the student already knows about his or her own faith tradition or culture and the contested views and perspectives that exist within it. When prodded to acknowledge the internal diversity of their own traditions, they are encouraged to extend the same courtesy to other ways of thinking or beliefs. Sometimes it is hard for students coming from within the Catholic tradition, as at Notre Dame, to relate to the diffuseness of religious authority within Islam, so accustomed are they to the centralized authority of the Catholic church and the finality of its edicts. The noisy profusion of voices within Islam throughout history comes as a shock to some and a delight to others. Emphasis on the richness and diversity of this tradition, I find, is the most effective counterweight to the vulgar stereotypes of Muslims afloat in many levels of American society today as well as to the intolerant positions of extremist groups. Ultimately, pointing out that these fringe groups speak with no ecclesiastic authority, as my students might put it, was the most effective way to undermine and delegitimize their position. One question that came up in our classroom conversation on the day following the attacks was the plaintive question that one heard and continues to hear from certain quarters to this day: “Why do they hate us?” Some of the students clearly saw it as an attack on Christianity, a perspective that was after all not unusual in the Notre Dame context. Others predictably saw it as an attack on Western civilization and all it stands for. It was relatively easy to debunk these arguments, primarily on the basis that if the Christian-Western civilization as an entity were the target, then practically any country in the Western hemisphere could have been targeted. Why not pick Italy or Germany then? A more, shall we say, cosmopolitan minority of students subsequently brought up references to the problems associated with globalization and misguided US foreign policies that have generated resentment not only among Muslims but non-Muslims as well, particularly in what used to be called the Third World. It was an important opportunity for us to reflect on how religious rhetoric can be used to give legitimacy to rank political claims or opportunist bids for power. I should point out that in that highly charged atmosphere right after September 11, there were very few venues outside of the classroom in this country where we could have had such a passionate yet civil conversation about religion, politics, and violence. For a number of weeks after that, as we proceeded with reading selections from the Qur’an and continued on with tafsir (Qur’an exegesis) and hadith, there were many occasions when we would segue into discussions of current events and the role of religion in them. This is probably the first time I had taught my course on Islamic Literature and found it to be directly relevant to contemporary events and the students engaged in the texts to the extent that we were. It was as much of an educational experience for me as it was for them. Perhaps the greatest challenge was and remains the very strong, and largely negative, influence of the media. I found myself (and continue to find myself) frequently and energetically refuting many half-baked, ill-informed, and occasionally virulently malignant assertions about Islam and Muslims as an undifferentiated whole that often cropped up in the print and broadcast media. I remember that there was a brief honeymoon period immediately after September 11, helped along by President Bush’s assertions that America was not at war with Islam but with terrorism. CNN, for example, scheduled frequent snap-shot interviews with relatively well-informed people, and often with prominent Muslim speakers, about Islam and the Middle East. But that honeymoon period began to dissipate as the more hawkish and pugnacious elements of the government and the media began to gain ascendancy and started their drumbeat of alarmist predictions for the future, a tendency that has not abated and, in some quarters, has actually intensified at the present time. The classroom and other public fora at Notre Dame (for example, a conference on Islamic peace-building that took place in spring, 2002) offered valuable opportunities for thoughtfully and pro-actively engaging a range of discourses that had emerged on Islam, Islamic activism and related issues. The years since 2001 have been demanding, frustrating, enriching, exciting, and above all, full of often unexpected challenges and opportunities for specialists in Islam and the Islamic world. It is a cliche to state that the world is not the same anymore after September 11, 2001. Certainly for those of us who teach and engage Islam publicly, the world has changed dramatically and irrevocably. Frequently called upon to explain Islam (using Islam mentonymically here to refer to a host of diverse Muslim societies, cultures, and praxis) and even perform it (as a Muslim you are often the living embodiment of the internally pluralist Islamic tradition in the classroom) before multiple audiences, those of us who had felt safe and insulated before in our academic cocoons were forced to venture out of our comfort zones. No one was actually holding a gun to our heads (at least not literally) but many of us felt a strong moral and ethical obligation to put our scholarship and expertise at the service of a much broader audience. A considerable number of us felt that if we abdicated this public responsibility there were those hastily “self-educated” commentators and “experts” of various kinds, skilled at best in superficial punditry and in totalizing descriptions of Muslims, who would be happy to fill the vacuum. As it was and remains, many of us entering the fray were poorly equipped to speak in powerful, short sound-bytes, preferring, as in our usual classroom lecture styles, longer excurses which attempted to carefully delineate historical contexts and contested perspectives on a given issue. The general audience had little patience for such long-winded and cerebral explanations. We had to learn to package our information in much more palatable and easily digestible morsels, capable of instantly satisfying public curiosity yet (hopefully) whetting their appetite for more holistic depictions. How then, as specialists in Islamic studies, do we best adapt to these changed circumstances? Certainly, the present circumstances offer both challenges and opportunities for us. Below I briefly enumerate firstly what these challenges are, and then on a more positive note, delineate the opportunities that exist for promoting especially inter-cultural and inter-faith understanding in our current milieu. The biggest challenge is posed by the tangible although diffuse undercurrent of heightened wariness, if not outright hostility, towards Muslims and Islam in present-day America. Our students are just as much affected by this undercurrent as anyone else. They bring this baggage with them, which they have acquired through general cultural osmosis, into the classroom. How to negotiate this situation in a dispassionately scholarly yet sensitive manner? Are there emerging best practices for academicians in such contexts? Above all, the answer is that we should continue to do what we do best and do more of it: teach, write and speak on relevant matters. There is nothing like the reiteration of historical facts and their responsible and non-prejudicial interpretations to dispel some of the more basic myths and half-truths about Islam and Muslims. For example in my religion and civilization courses, I emphasize the strong links from the medieval to the modern period between the Islamic and Christian European civilizations. The extent to which pre-modern Western learning is derived from Muslim sources is a point that needs to be made, perhaps over and over again, to show how these two civilizations to this day are intertwined. A better understanding of these historical links is a must. To help establish these links, there are a number of good scholarly works now available in the market. One of my favorites is The Case for Islamo-Christian Civilization by Richard Bulliet, a book that is the product of a long career of scholarly reflection and research. The book brilliantly sketches how much of the history of the Muslim and Christian worlds have been intertwined in the pre-modern period and proceeded in lockstep with one another in matters relating to scholarly interests and products, development of institutions such as universities, libraries, and public endowments, and in cultural tastes and practices. Another favorite of mine is Khaled Abou el-Fadl’s book titled The Great Theft: Wrestling Islam away from the Extremists, which provides in a very accessible manner a detailed comparison and contrast between the views of those he calls moderate Muslims vs. the extremists. The desire to now write in a more accessible manner for a larger, general audience has led to the publication of my recent book The First Muslims: History and Memory which discusses competing interpretations of the early Islamic period by hard-line Islamists and Muslim modernists today, with important ramifications for current events. To all this I would add that one should try to put as much of a human face on Islam as possible. If you are a Muslim educator yourself, whether one likes it or not, you are part of the package of information the students absorb about Islam. Your comportment and demeanor speak volumes to students. A speaker series through the academic year on issues related to classroom topics add immeasurable depth and variety. Speakers who can speak knowledgeably about Islam, whether they are so-called insiders or outsiders, enhance the human, living dimension of Islam the students have not been exposed to previously. Visits to a local mosque can also work wonders. Such persoanl contacts are invaluable in helping to dispel the unfortunate impression, conveyed in part by the media, that all Islamic centers in the US are cesspools of violent conspiracies. Acquaintance with gentle, bearded men and well-spoken women in head-scarves can counter deadly, absolutist stereotypes. For educators, the most immediate visible indication of an altered academic landscape after September 11 was to be found in our classrooms. The current situation certainly provides rich opportunities to educate our own students at various university campuses about Islam and Muslims. Burgeoning enrollments in Islamic Studies classes prove there is a genuine hunger for information about Islam. Courses in Arabic language, on Islam and the Middle East are over-subscribed at many universities, private and public.. This has become a nationwide trend, a trend one imagines that will endure for the foreseeable future. As a consequence, more and more universities are adding to their faculties professors with expertise in the Arab and Muslim world. Even small liberal arts colleges with resources stretched to the limit are hiring at least one professor in Islam or Islam related field, something they probably would not have dreamed of doing before September 11. Grant-making organizations are more and more willing to make funds generously available to this end. Recently private American foundations like the Carnegie Corporation have launched major educational initiatives in this regard and have been steadily funding for the last five years state-of the-art research proposals on some of the most critical issues facing contemporary Islam. Those of us who are in the field of Islamic Studies realize that our field has become quite transformed after September 11, especially in the way it has become politicized. Many of us are quite aware that often what we publish and lecture about publicly comes under intensive scrutiny by certain watchdog groups, for example. Such groups have attempted to create a climate of fear and intimidation in the academy in an attempt to dissuade courageous, critical research. Such an environment should only stiffen the resolve of specialists in Islam to continue doing what they do even more effectively by finding more outlets to disseminate their work and their ideas. What they have to offer is valuable and meaningful both inside and outside of academia.
. See “Campus Culture Wars Flare Anew,” New York Times, October 2, 2002, which discusses how many faculty members responded ad-hoc to the aftermath of September 11 in their classes.
. Apart from Islamic theology, Middle East politics has become another fraught discipline; see this discussion by Amir Hussain, “An accidental theologian: thoughts on Islam in public and private religious universities,” Cross Currents (2006).
. For one particularly informative account of dramatic changes occurring in American classrooms after September 11, see Yücel Demirer, “Shifts in the Classroom Environment After September 11: Notes from Islam Classes of the Mainland Security United States,” Radical History Review 99 (2007): 227-41.
. Published by Columbia University Press, 2004.
. Published by HarperSanFrancisco, 2005.
. Published by Oneworld Publications, 2008.
. For a brief and useful assessment of the situation by Lee C. Bollinger, “The Value and Responsibilities of Academic Freedom,” The Chronicle of Higher Education 51.31 (2005):B20.